Located in New Hampshire’s White Mountains in the Mt. Washington Valley, Wildcat Mountain’s northwestern exposure provides the resort with the highest amount of annual snowfall in the area. Wildcat averages 200 inches of natural snow and 90% snowmaking coverage spread across 225 acres with 49 trails and 1 terrain park. 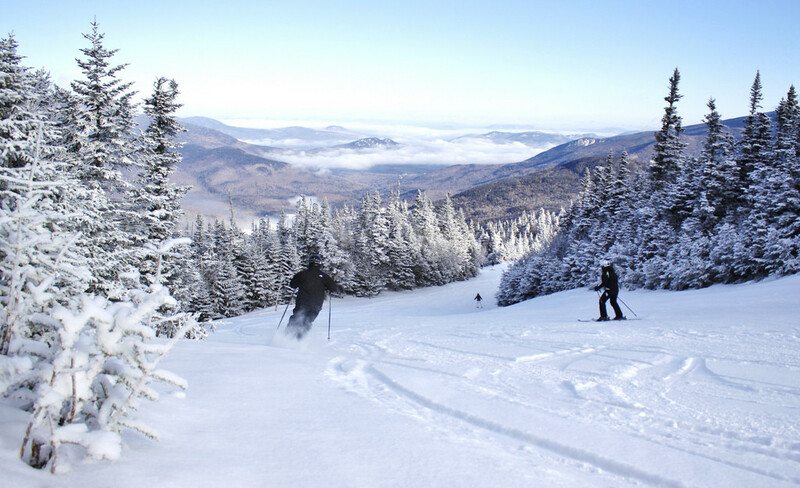 Featuring wide-open groomed trails, bumps and tree skiing, the trails are rated 25% beginner, 45% intermediate, and 30% expert with a vertical drop of 2,112 feet. Three cafeterias, ski shop, nursery for children 6 months and older, instruction and special lesson packages. Skis, snowboards, boots, and pole rentals available. Retail store. Interchangeable ticket available for access to both Wildcat and Attitash. Get Snow Reports, Powder Alerts & Powder Forecasts from Wildcat Mountain straight to your inbox!